El Paso, TX- PDS is excited to announce the launch of ClickScan 4.0, the industry’s most affordable document management software solution. 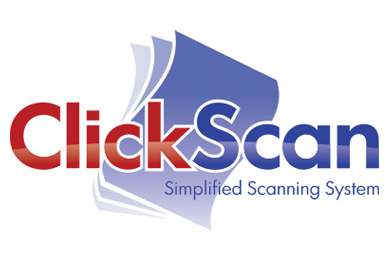 ClickScan 4.0 is packed newly added features for an enhanced way to prevent lost or misplaced files, reduce filing space, and increase profits. During the development of ClickScan 4.0, the PDS team focused their efforts on providing additional features to magnify the easy-to-use interface and provide an improved records management process for its users. After an extensive evaluation of the product, PDS developed ClickScan 4.0 to provide a powerful tool to access and manage scanned records. Users of ClickScan 4.0 can now view multiple documents at once, and drag and drop digital files into new and existing folders. In addition, ClickScan 4.0 allows it’s users to export and email documents in PDF format, export multiple documents at once, conduct full-text searches within a drawer, and track user activity via the new audit trail feature. * Optical Character Recognition (OCR)- the electronic conversion of images typed, handwritten, or printed text into machine encoded text. Provides the ability to read and recognize words, numbers, bar codes and more. “The release of ClickScan 4.0 was a culmination of several years of hard work from our software development team. The new user interface is easy to navigate and our new features will give our current clients and future installations a great deal of power in managing their documents. It truly is the simplified scanning system.” -Matt Bowman, President of PDS.